I was more than chuffed when I bumped into three beautiful Pearly Queens raising money for charity on Columbia Road the other Sunday. Do you know the history of Pearly Kings and Queens? If not, read about their founder Henry Croft here. This lady was super friendly and happy to pose for a photo for a small donation. 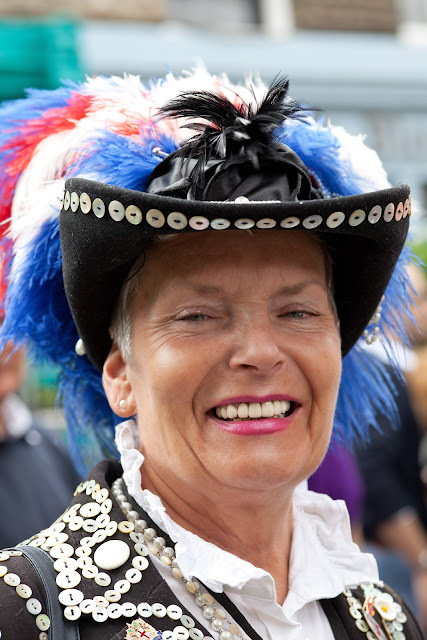 You can meet Pearly Queen and Kings around London when they are out raising money. Upcoming dates are here.